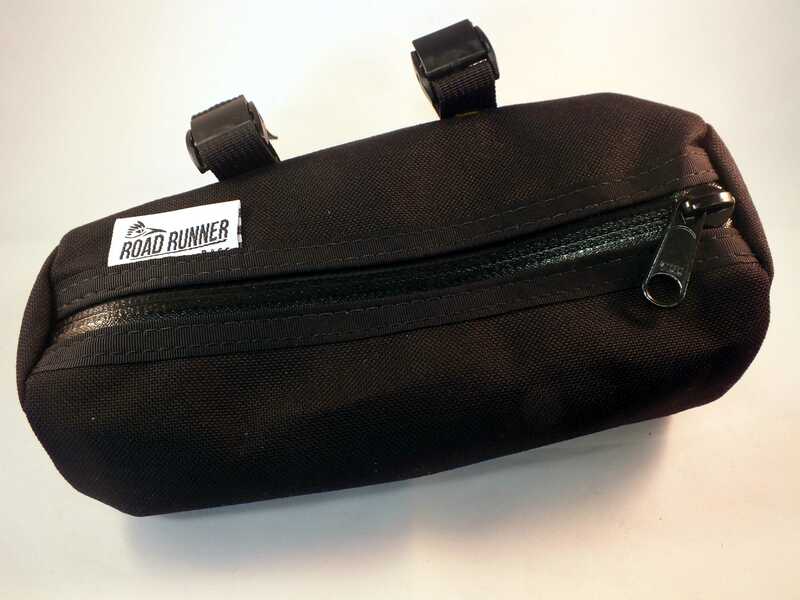 We’ve just had a fresh delivery from our friends at Road Runner. Handmade in Los Angeles, we’ve been selling their tool rolls for a few years now and we thought it was time to expand our inventory. The bags we’ve decided to carry are designed for long distance day rides – those days of changeable weather and where you need more kit than your back pockets will carry. 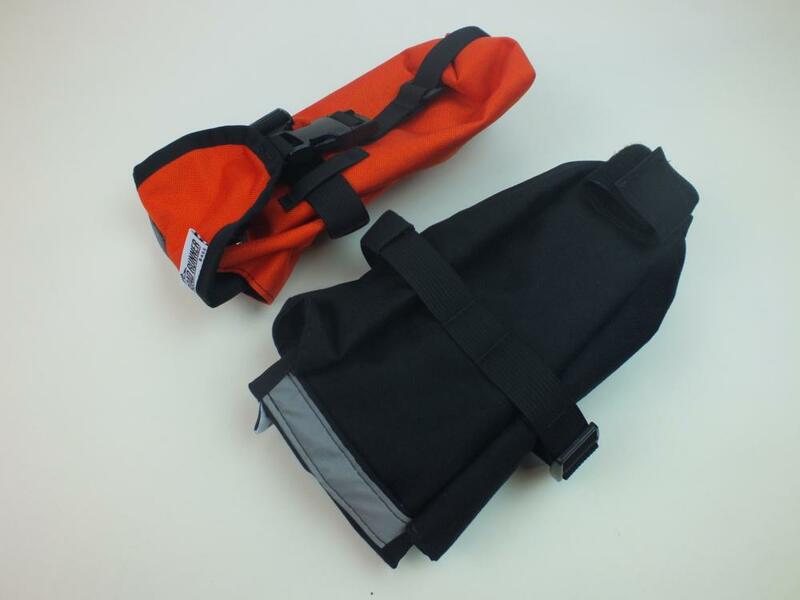 Named after the newbie rider who likes to take everything but the kitchen sink with them, this saddle bag is designed to hold multiple inner tubes, tools, spares and even a pump. 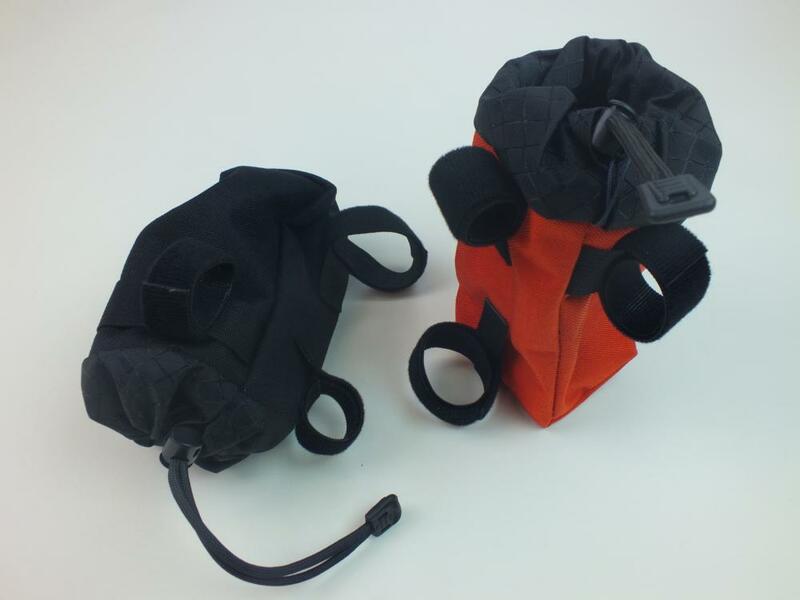 The Co-Pilot straps to your bars and stem and acts as that third bottle holder you often with you had. Use it to carry an extra drink, a battery for your light or fill it full of sweets – the co-pilot will take them all. 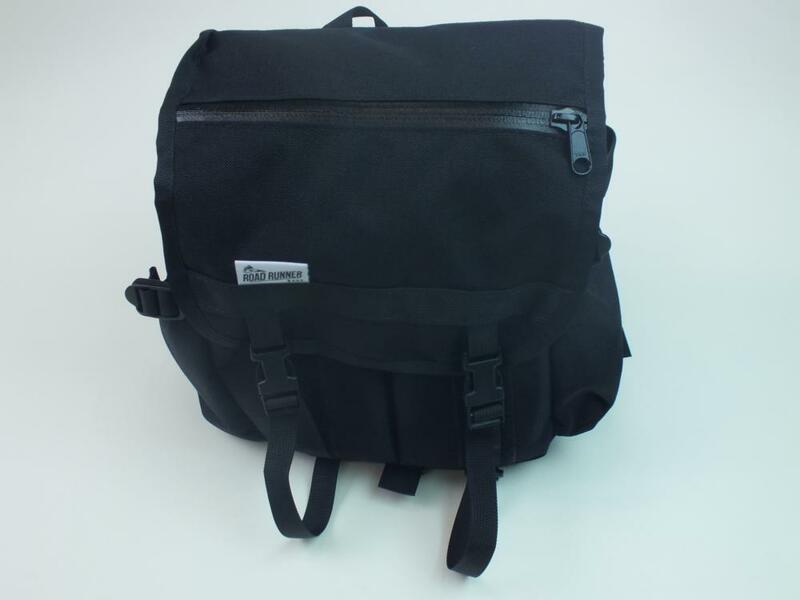 The Front Runner bag is designed to strap onto front racks. It’s great for using for commuting or carrying kit for an overnight trip. It’s got a pull cord and roll top so you can adjust its size according to the load. We originally got a batch of Burrito bags in early May and they sold out in days. 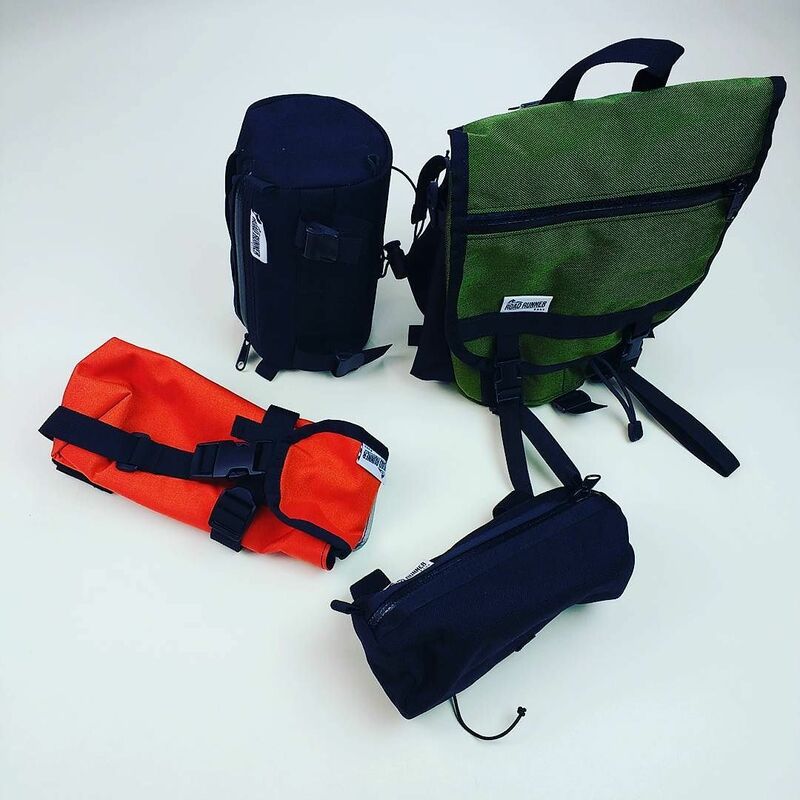 This bag sits in between a set of drop handlebars and is ideal for carrying a waterproof or thermal top on one of those changeable days when the weather can’t make its mind up. The name – it’s the same size as a Californian XL burrito ! The super size version of the Burrito, the Supreme is twice the size of the regular model. 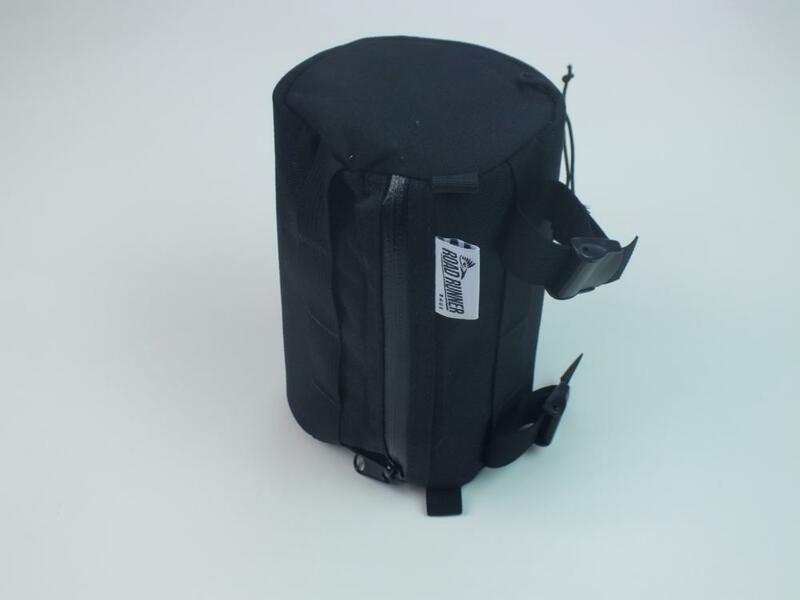 It has a plastic liner and has webbing straps on the front of it to attach anything to your bag.